The new Nikon D5500 with built-in wireless connectivity is the world’s smallest, lightest and slimmest DSLR. With its carbon-fiber body and deep grip for comfortable handling, this camera is designed to be taken everywhere. 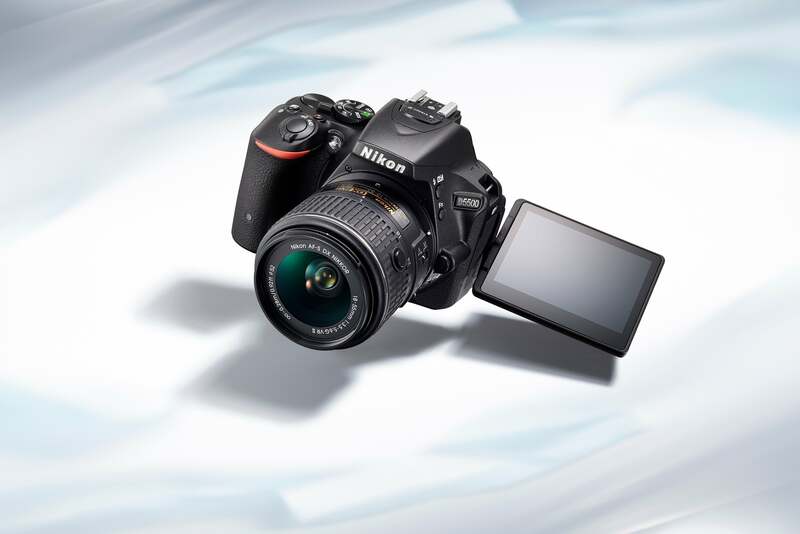 D5500 features such as Nikon’s EXPEED 4 image-processing engine, a vari-angle LCD monitor with touch-screen control and optimized image review. You can capture sharp 24.2 megapixel photos, record 1080 video at a high speed frame of 60p with D5500– and even retouch and add artistic filters to your shots right in the camera. And when you’re done, share them instantly with on board Wi-Fi using the Nikon Mobile Utility app. D5500 makes it easy to be creative, and simultaneously stay connected.